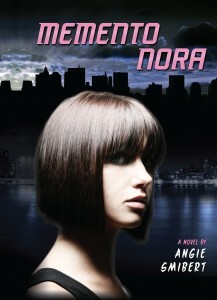 Book Synopsis: Nora, the popular girl and happy consumer, witnesses a horrific bombing on a shopping trip with her mother. In Nora’s near-future world, terrorism is so commonplace that she can pop one little white pill to forget and go on like nothing ever happened. However, when Nora makes her first trip to a Therapeutic Forgetting Clinic, she learns what her mother, a frequent forgetter, has been frequently forgetting. Nora secretly spits out the pill and holds on to her memories. The memory of the bombing as well as her mother’s secret and her budding awareness of the world outside her little clique make it increasingly difficult for Nora to cope. She turns to two new friends, each with their own reasons to remember, and together they share their experiences with their classmates through an underground comic. They soon learn, though, they can’t get away with remembering. Bio: I’m the author of Memento Nora (Marshall Cavendish, April 2011) and the upcoming sequel, The Forgetting Curve (Marshall Cavendish, Spring 2012). $25.00 is my bid. I am having back surgery on 3/28 and might not be able to pay (if I win) until a few days after but I PROMISE to pay. This book is on my Amazon wish list of future releases. I am increasing my own bid to $50.00. This will be my final bid because I am entring the hospital for surgery on 3/28 and it may be a few days before I can respond to emails again. I am already the winning bidder on item #16. So I will make a donation of $100.00 today to cover the $25.00 obligation on #16 and the $50.00 obligation on #24 if I am the winning bidder. If I am outbid on #24, then just consider my overpayment as a donation above the required amount. WINNER: Jed Barish wins with a generous overbid of $50! Congratulations on your winning bid, and get well soon!